This weekend was what I call a â€œmake upâ€ weekend. We’ve had some events over the last few weeks, including the 4th of July holiday, for which we had to allocate some extra funds. So this weekend we didn’t do much in the way of entertainment to make up for the extra spending we’d done during the previous few weeks. That doesn’t mean that we locked ourselves up in our home waiting for Monday, which is coincidentally payday, to arrive. 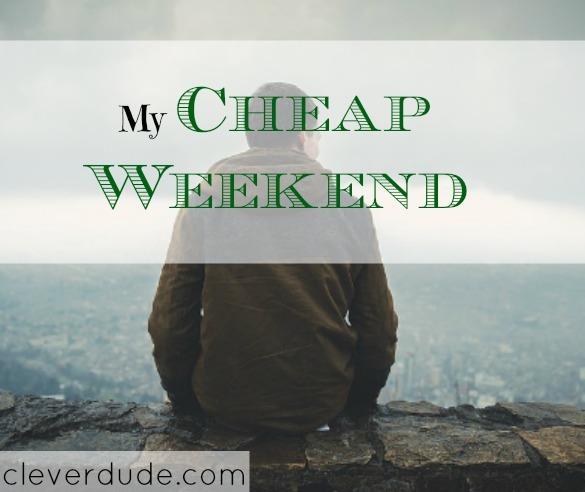 It simply means that we were very selective and methodical on what we spent our money. We had already purchased some steaks as part of our grocery shopping budget, and planned to grill them Friday night. We invited our neighbors over to grill with us, telling them that we would provide a hot grill if they wanted to bring their own meat. For side dishes, they offered to pick up supplies for salad, and we settled on purchasing fried rice (which comes with a fantastic lobster sauce) from a nearby Japanese steak house. On my way home, I was instructed to pick up some cream cheese, marshmallow cream, and vanilla wafer crackers. We mixed the cream cheese and marshmallow cream into a dip, and served it with the vanilla wafers and cut up apples (which we already had in the refrigerator) for desert. My father-in-law’s mother had a medical issue recently and is recovering for a short time in a nursing home. We visited her and gave her a small pot of flowers with a balloon attached. We left our teenage son home alone for the afternoon as we traveled out of town to visit our recovering relative. Wanting to spend some family time together when we got home, we decided to stay in and catch up on some family favorite shows that had been recorded on our DVR during the week. There’s no better way to kick off family time than with pizza, so on our way home we picked up some take and bake cheese bread from Papa Murphy’s and combined it with a frozen pizza we had in the freezer at home. Our son really appreciated the attention, and the cheese bread which is one of his favorites. It wasn’t an extremely eventful weekend, but an enjoyable one none the less. 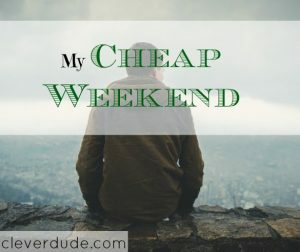 The key for us to stick to our budget is to identify ahead of time which weekends require extra funds, and then pair them with following or preceding â€œmake upâ€ weekends so they even out. @David – Thank you, David – our family member is doing much better! Love the idea of Pizza and Movie – we do that as well!